Wilton-Fun Pix. Use these colorful picks to add a great design to decorateyour cupcakes even more! 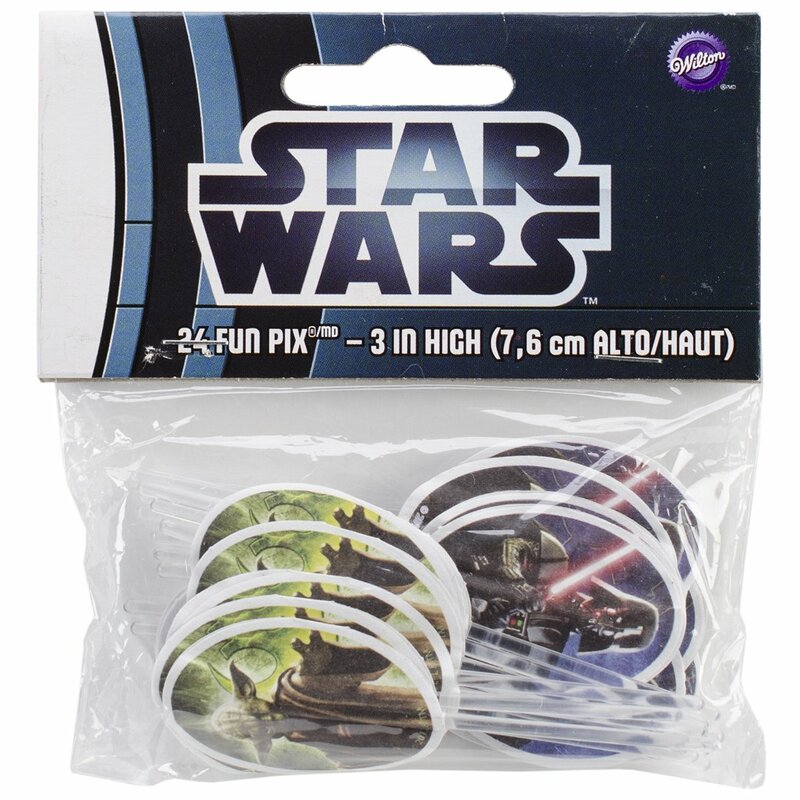 This package contains twenty-four 3 inch tall pix.Design: Star Wars. Imported.